In the consumer world, cloud technology is everywhere. Without giving it a second thought, we commonly use the cloud to share pictures, back up files, or binge-watch the latest Netflix series. But when it comes to manufacturing, people can be more hesitant to take advantage of the cloud. WITH THE ADVENT OF SMART MANUFACTURING, there′s been a flood of technologies and platforms aimed at manufacturers, and it′s hard to determine what′s really useful or necessary. You hear from all the latest conferences and technical journals that you need to digitize your factory and get your business on the cloud - but what does that really mean? In this article, we define cloud technology from a manufacturing point of view, talk about the benefits and potential concerns, and present real-world use cases where the cloud makes sense. From better reliability to easier scalability and integration, there are numerous reasons why incorporating cloud technology into your plant floor makes sense. Manufacturing applications that require scalability and easy data accessibility but don′t have strict latency requirements are ideal for moving into the cloud. Perhaps the number one reason that manufacturing should be looking to the cloud is the reliability of the service. Most major cloud providers are now measured in the number of 9′s for the amount of uptime that is available, meaning if your provider has a rating of five 9′s, it would have an uptime of 99.999%. This equates to only 5.26 minutes of unplanned downtime per year. Especially in the manufacturing world, software systems must be ready for use at all times, and cloud service companies can offer multiple layers of resiliency to support that. By using the cloud, ensuring bulletproof reliability is something your in-house IT staff no longer needs to manage or spend resources on. There is no need to worry about double redundancy or an internal server going down. Data is only as valuable as the sets of eyes that can look at it and decipher it. What good are terabytes of data if they are locked away inside an internal database somewhere? With a cloud architecture, that data is centralized and available to authorized users anywhere and anytime. Whether it′s a line supervisor who needs to see how a specific run is doing, a plant manager who wants to check on the whole factory′s process, or a CEO who wants to see how his entire operation is doing, using the cloud allows for this type of low- or high-level of granularity when deciphering the data. Additionally, there are a growing number of manufacturing-specific analytics tools offered in the cloud that aren′t readily available in traditional application format. These tools can look at an enterprise′s bigger picture goals and find areas of efficiencies that probably no human would have noticed. Using the cloud is a great way to get deeper insights into your data that lead to smart decision-making. No matter the size of the manufacturer, the cloud has a solution for you. A cloud-based system has the ability to scale up or down depending on your usage levels on an on-demand, pay-as-you-go basis. For example, OEMs seeking to monitor machine data on customer sites will see an ever-increasing requirement for data storage and bandwidth as the number of field-deployed machines increases. A cloud-based system will grow incrementally with their business allowing them to pay only for the infrastructure needed and scaling as they grow. Today, systems no longer remain that isolated; users must integrate systems and the cloud-based system makes this easy and cost-efficient. Relying on a cloud service company′s giant data service means you don′t have to maintain your own, and if you have a lighter month of usage, you′re not carrying the burden of those extra resources. Additionally, if your cloud is configured correctly, the system can automatically adjust without the need for human interaction, thus saving you even more money. Today, we can no longer have systems that remain isolated. Integrating with a platform such as an enterprise resource planning (ERP) system is easier and more cost-efficient when we use the cloud and the API architecture that usually follows. Imagine integrating your current ERP system with plant-level control systems at 15 different physical facilities. How would you do that today? Most likely you would have to go to each plant and install software at each location to communicate to the ERP. This is costly and time-consuming to both install and maintain, and the likelihood for broken connections as software versions change is highly probable. Now think about doing this same thing with a cloud-based system. The installation could be done at one location and from anywhere in the world, and any future updates could be pushed from a centralized location as well. Breaking down silos of information and increasing knowledge sharing among systems and factories will ultimately result in greater productivity and product quality. Clearly there are many benefits to increasing efficiency and sharing resources on the cloud. However before we all drink the "cloud-computing-solves-everything" Kool-Aid, let′s also address some concerns and limitations that manufacturing enterprises may have. Potential security problems are the most common argument against putting manufacturing systems into the cloud. The image conjured up when people think of a cloud is a big white puffy thing contrasted against a blue sky, out there for all to see, and that is decidedly not the image we want associated with our proprietary production data. Fortunately, this problem has been worked on for years now, and a properly designed and installed cloud-based system is no less secure than a system protected by the IT firewall. Physical data center security, encryption, centrally managed user authentication, and other plant-level network security tools keep these systems safe today. Cloud service providers must stake their livelihoods on the reliability and security of their systems and therefore have the latest, cutting-edge defense mechanisms, far more advanced compared to your average IT network. IT departments still need to protect network entry points as always, but the cloud component of these systems is not the weak link and should not deter you from considering these solutions. For most manufacturing enterprises, there are a lot of cost savings that come with using cloud computing. There′s a low cost of entry, and you can reduce your corporate IT resources. You′re essentially trading the capital expense of owning your own data centers for a variable expense based on usage levels, thus mitigating financial risk. And from our experiences, the acquisition cost for software and hardware is only a fraction of the IT spend. The majority comes from the operating costs for the network, facilities, IT labor, maintenance, security, backups, management tools, power and cooling, and so on. By outsourcing some of the responsibility, you can focus more resources on new product designs, plant productivity, and quality assurance. Numerous studies have been done analyzing the short- and long-term economics of cloud computing. As stated in The Economic Benefit of Cloud Computing, "A cloud computing approach could save 50 to 67 percent on the lifecycle cost for a 1,000 server deployment... [delivering] greater investment returns in a shorter payback period when compared to the traditional on-premise delivery option." And according to AWS, the total cost of ownership (TCO) for cloud computing can offer up 80% cost savings over the equivalent on-premise option. AWS also offers an online TCO calculator as an additional cloud computing cost analysis resource to check out. On one hand, depending on the amount of data in the enterprise, it may make more sense for huge corporations to have their own data centers because it would be cost prohibitive to regularly transfer so much data over the cloud. We once worked with an organization that had hundreds of terabytes to transfer, and it was cheaper and faster to use FedEx to ship the hard drives across the country than upload it via the Internet. On the other hand, billion-dollar companies like Netflix are 100% cloud-based with massive amounts of streaming and storage, but they′ve found a way to make it cost-effective. As cloud technology continues to grow and storage costs lower, you′ll see more and more large enterprises moving to the cloud, so do research to weigh the benefits and costs. Using the cloud allows hard-to-reach plant data to be accessed by users at all different levels in the enterprise. Previously we introduced the idea of using edge computing with cloud computing. In the manufacturing world, control needs the addition of edge resources because of latency issues and data transfer rates. Industrial control systems are often in remote locations where it wouldn′t make sense to stream all information to the cloud before making any decisions. Oftentimes, an immediate response is required. Edge computing offers the flexibility of skipping the middleman for faster response time to failures and optimized production with less lag. For example, by using edge computing at a solar power plant, solar irradiance information can be almost instantaneously used to adjust inverter output. Then cloud computing can be used to study the irradiance and power generation information for tracking metrics and analyzing data. So when looking into cloud solutions and network architectures, don′t forget to consider which systems require low latency and may benefit from edge computing in conjunction with cloud computing. Many times when you read about large corporations using cloud computing, it may not seem applicable or feasible to apply the same to your own company. We′ve worked with many different industrial and manufacturing clients and have seen numerous cases where the cloud makes a lot of sense to implement. The cloud is a perfect tool for remote machine monitoring. OEMs especially benefit because cloud-based applications are so easy to scale both horizontally and vertically as their customer base expands. Embedding the ability to send information to the cloud from each machine produced can bring added value to end users, distributors, service providers, and the OEM throughout the life of the equipment. For example, consider an OEM that manufactures wood chippers and sells them through a distribution channel to both landscaping companies and individual owners. Using a data connection in each machine, the OEM′s cloud-based software keeps track of data like run hours, motor temperatures, vibration, and faults for each machine. Registered end users can be notified of standard maintenance intervals like oil changes. Distributors can provide great customer service by proactively offering service or repair parts. The OEM can watch for patterns in failures and receive invaluable feedback like mean time between failures to improve the quality of their machines in the long run. Best of all, the service can easily scale in data storage, bandwidth, and computing power as more machines are sold and more users use the service. Some businesses are very cyclical and on-line services offered will have varying usage needs throughout the year. Water management authorities, for example, sell water rights online to consumers every year. During the contract renewal month, the agency may have hundreds of thousands of users hitting their site. With a traditional IT approach, they would need to build infrastructure that would support that peak usage for the entire year and incur the associated cost all year long. With a cloud-based solution, the site can automatically scale up in response to the spike in demand during the contract renewal month, and then scale back down to handle normal traffic for the rest of the year. For systems with highly distributed assets (geographically), it can make a lot of sense to use cloud-based computing solutions. Water districts are a perfect example of this type of system. Most districts have redundant SCADA servers located in an admin building. These servers are connected via a variety of networks to pump stations, wells, reservoirs, and other assets often across many square miles. Water districts spend millions of dollars maintaining private networks connecting these assets to the SCADA servers, not to mention the cost of the server infrastructure. With a very small logical change in the SCADA network architecture, distributed system assets can simply report their data to a server located in the cloud. Operator stations are simply lower-end workstations or mobile devices that connect to the cloud as well. Server hardware is significantly more reliable and never has to be upgraded again. Initial capital expenditures are greatly reduced, and the ever-present fear of the massive upgrade bill becomes a thing of the past. 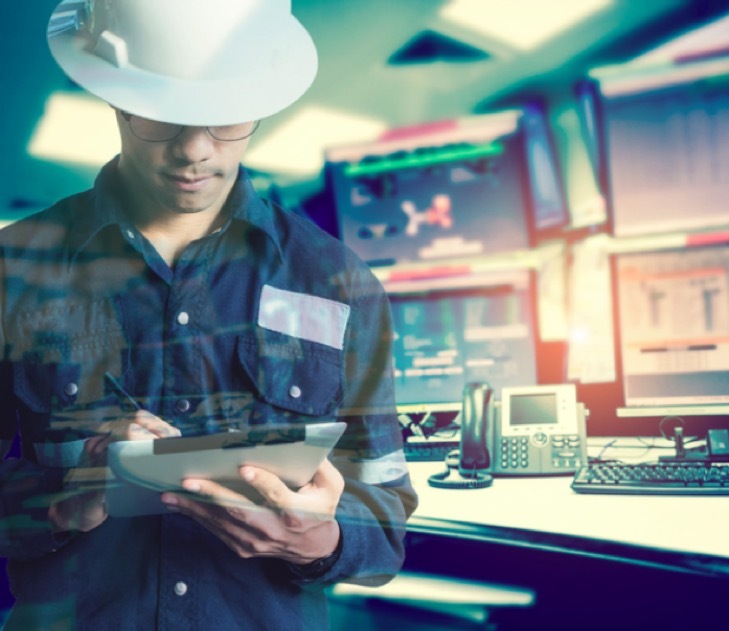 Manufacturing Execution System (MES) software like OEE and KPI tracking are useful for improving plant-level productivity, but viewing data from multiple plants across the enterprise can be challenging. Often the data is locked behind a firewall, and it can only be accessed through VPN tunnels or manually created reports that delay the distribution of information. It′s an inefficient process for improving efficiency. Plant-level data can be securely pushed to the cloud where data can be made available to anyone with the proper security credentials and internet access. Real-time data does not have to be trapped in each plant with labor-intensive spreadsheets as its only means of escape. Cloud-based applications are perfect for enterprise-level dashboards and reporting with real-time data. Yes, this could all be accomplished with an enterprise-level inter-plant network, but there′s a high cost associated with setting up, managing, and maintaining this infrastructure. 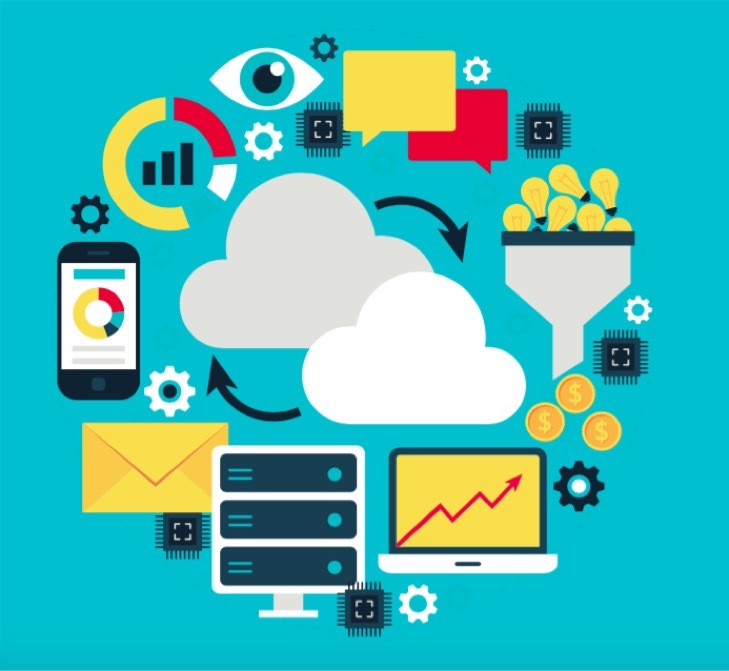 Cloud computing provides a reduced, predictable spend, higher reliability, and better accessibility making large enterprises more efficient and agile. Total Cost of Ownership: Web Applications (Compute and Database) for 3 Years. The ease of use, freed-up budget, and time savings with your IT network translates into more resources for focusing on innovation, product quality, and plant productivity. Popular industrial cloud solutions also include Siemens MindSphere, GE Predix, and WonderWare. However, many people use traditionally on-premise SCADA software like Inductive Automation Ignition or Siemens WinCC OA as a cloud solution by running them on a virtual computer hosted by AWS or Azure. Each of these choices involves different levels of hardware and software management and ownership, so carefully weigh your options and all their intricacies before making the plunge. Calvin Hamus, Sr., Industrial Programmer, Vertech.